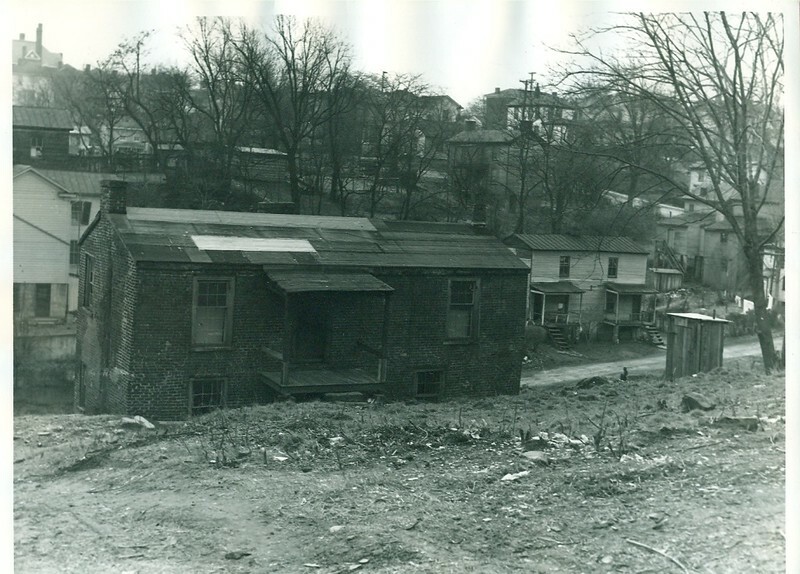 A photo identified by the Lynchburg School Board as the neighborhood surrounding Dunbar immediately prior to construction of the athletic area. All photos date stamped February 23, 1950 on reverse (circa 1950). A portion of Diamond Hill is in the background.